At the corner of Waterloo and Hope Road sits a brief glimpse into our past. Devon House is a place most Jamaican’s associate with smooth creamy and mostly indigenous ice cream flavours, nice wedding photos and randy teenagers looking for a private space to steal secret moments. However the space is an important landmark in the annals of Jamaican history. 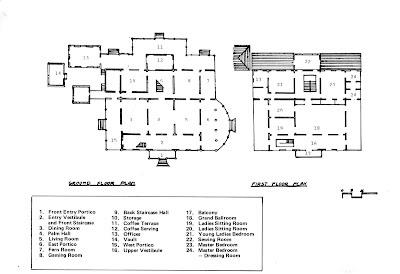 Commissioned by George Stiebel in 1881, on lands formerly known as Devon Pen the original property stretched from present day Lady Musgrave Road to the St. Andrew Parish Church and back to what is now the Canadian Embassy. Constructed of brick and timber it was the most impressive piece of local architecture built in this period, no other buildings could compare to its scale and style in all the island. So impressive was the house that it was rumoured that the then Governor’s wife the good Lady Musgrave could not stand to be so insulted by a building of such splendour and grandeur and know it was owned by a black man that she had her husband make her a road which would bypass Devon House, which is known today as Lady Musgrave Road. Not much is known of George Stiebel, what is known is while in Jamaica he was an apprentice carpenter and shipwright. Later he migrated to Venezuela and other parts of South America. It is believed he made his fortunes when he either discovered and or invested in a gold mine. After some time abroad he returned to Jamaica as its first black millionaire. Honoured by Queen Victoria with the C. M. G., a true philanthropist at heart Stiebel headed and donated generously to a number of distinguished civic and charitable bodies. At the time of his death in 1896 Stiebel acted in the capacity of Custos for St. Andrew. The house then passed to his only daughter Theresa Stiebel Jackson. 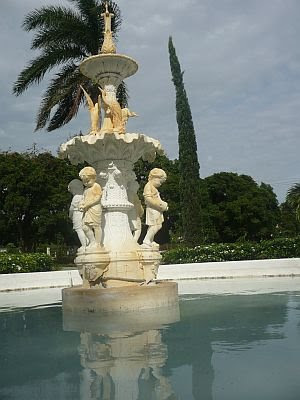 In 1922 the property was sold to the Melhado family and was later passed to the Lindos. It remained the Lindo family residence until 1967 where plans were made to demolish the house and sub-divide the property. However at the last minute it was saved from destruction from the then Minister of Development and Welfare the Rt. Hon. Edward Seaga. 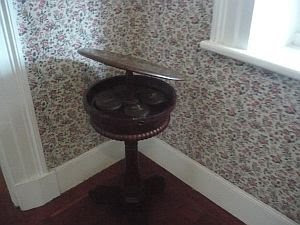 It was decided that the house would serve a greater purpose if used as a showcase for the excellence of craftsmen and cabinet makers, from the fledgling government agency Things Jamaican. Hence it was decided to create room settings from different periods of Jamaica’s history. It was hoped that this venture would stimulate the development of local craftsmanship and demonstrate that the manufacturing of fine furniture was a viable new business. The structural restoration of the house began in 1969, and as much as possible the original character of the house was maintained. Things Jamaica provided the reproductions of pieces synonymous with the period, this includes early Cromwellian pieces, Charles II, William and Mary, Queen Ann and the America Duncan Fyffe styles. 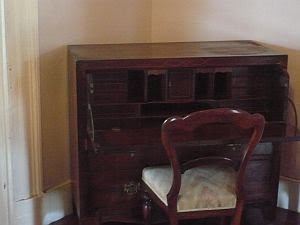 Along with the gate-legged tables and Chippendale chairs and dining room set, some rooms display Jamaican antiques donated by generous citizens and prints paintings and other artifacts on loan from that Institute of Jamaica. 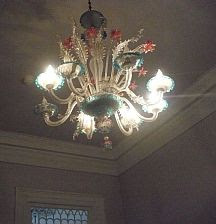 There are so many things of beauty in the house, but the two that are bound to leave a lasting impression on visitors are the Murano glass chandelier, a style popular in the 17th century Italian baroque which is not original to the house and the second is the ball room, the crystal chandelier is one of the few surviving occupants of the house, and while impressive it is the actual ceiling which will blow your mind. It’s a round bas-relief decoration of cherubs made from plaster. It is a waste of time to describe, it’s just better to see it as words doesn’t do justice. The Devon House Heritage Site is a wonderful experience not only reserved for tourists. The house is open from Monday to Saturday between the hours of 9:30 AM to 5:00 PM. However the last tour starts at 4:30 PM. At the time of writing, the cost for locals was JA$300, not exactly sure how much visitors pay. Now you know so there is absolutely no reason not to check it out now. Thanks glad you like babe.